Blades made from highest quality stainless steel. 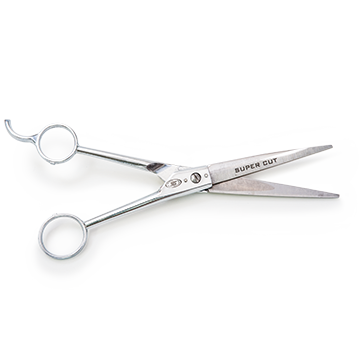 These super-sharp blades will outlast ordinary blades or shears at least 3 to 1. Blades are hollow ground and corrugated. 7-1/2" length with finger rest.